Steed is to greet a courier carrying a sample of top-secret liquid rocket fuel at an airport in France. 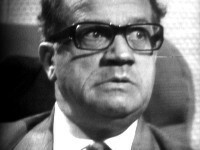 However, before Steed can reach him, the courier dies, dropping his drinking flask unnoticed somewhere in the airport. Cathy learns of the existence of the drinking flask, as well as a bottle of hair restorer, but at every turn in Steed and Cathy's attempts to retrieve the fuel, they encounter the enemy. Thanks to Cathy's "garter gun" they finally get the goods at a bakery. In a word, fun. Lots of fantasy-land sleuthing, which is often the best kind. Only loses a bowler for the oddball characters at the French airport, who are just a tad too cute. 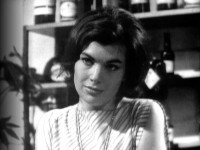 Catherine Woodville, who plays Laurie, became Patrick Macnee's second wife. Geoffrey Palmer appeared in the Police Surgeon episode, "Smash But No Grab." Some scenes were pre-recorded on 20 July 1962 in advance of the main recording. As Steed and Cathy discuss the missing fuel sample in a lingerie shop, it becomes apparent that Cathy knows more about Propellant 23 than Steed. Cathy: "Do you always arrange to take your calls in a lingerie department?" Steed: "If humanly possible."